This is truly the complete guide to the leather contest. Contest promoters, contestants, judges and winners will all benefit from the sound advice presented in this book. 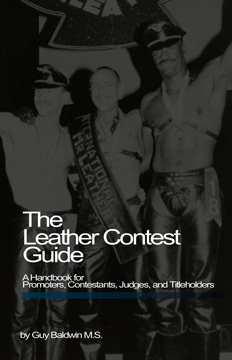 Written by Guy Baldwin, one of the most famous names in the leather community and a former titleholder, this book details the keys to a successful leather contest. Even those in the audience will enjoy the insights this book will give about the world of the leather contest.